Braun: "Can I Bum a Ride to Shul, Anybody?" MILWAUKEE, WI - (@TheComedyNews) - Milwaukee Brewers left-fielder Ryan Braun has more than just game 5 of the National League Divisional Series to attend tonight. 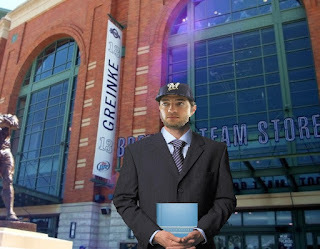 Immediately following the game, Braun intends to go to Yom Kippur services at a local Milwaukee synagogue. However, the All-Star currently has no ride to get from Miller Park to a Temple to repent his sins. "Can I bum a ride to shul, anybody?" Called out Braun to tailgaters in the Miller Park parking lot this afternoon. "Win or lose, I really need someone to drive me to a synagogue! I really need to repent for my sins!" The 27-year-old Braun, nicknamed "The Hebrew Hammer" for being both Jewish and one of the top sluggers in baseball, has been in a similar conundrum before. "This is just like the time my Hebrew school carpool left without me when I was 12," lamented Braun. "I was so scared. And my Mom freaked out and called the police. I didn't get home until almost 9:30 PM that night." 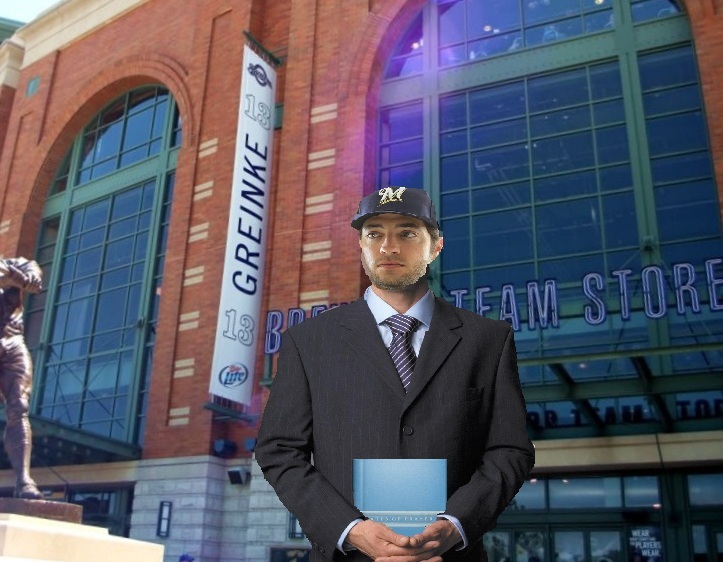 Already wearing his suit and clutching a 'Gates of Prayer' book in hand, Braun seemed quite desperate to find a ride. Braun explained that, in accordance with Jewish Law, he would not drive a car to get to a synagogue for Yom Kippur services. He fears now that if the Brewers lose their playoff game, no limo driver, taxi driver, friend, or parent in Milwaukee will be happy enough to take the time to drive him to services. And if the Brewers win, everyone in Milwaukee will be too drunk and slap-happy to get behind the wheel.